This adorable little blue cotton blend romper is made by Rosalina, a leading designer of quality childrens' smocked apparel. It features a band of white smocking on the chest embroidered with blue crosses. 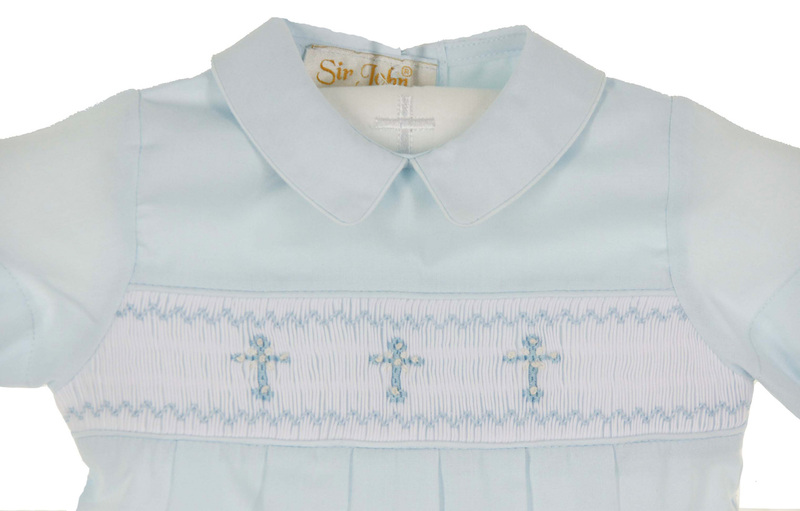 The romper has a Peter Pan collar with short straight sleeves. The leg openings are elasticized with crotch snaps for ease of wear. 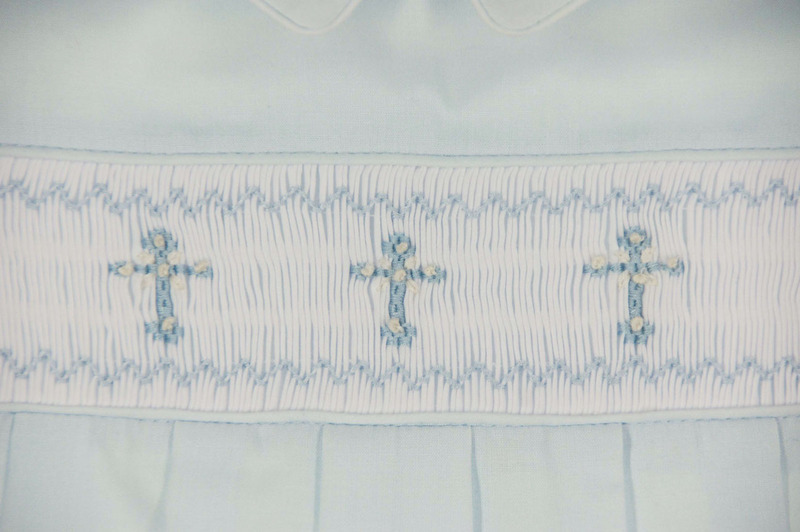 A darling Easter or christening bubble for your baby boy! Note: Matching girls bubble is also available. See below. Grammie's Attic has a lovely collection of Easter outfits for your baby, toddler, little girl or little boy. 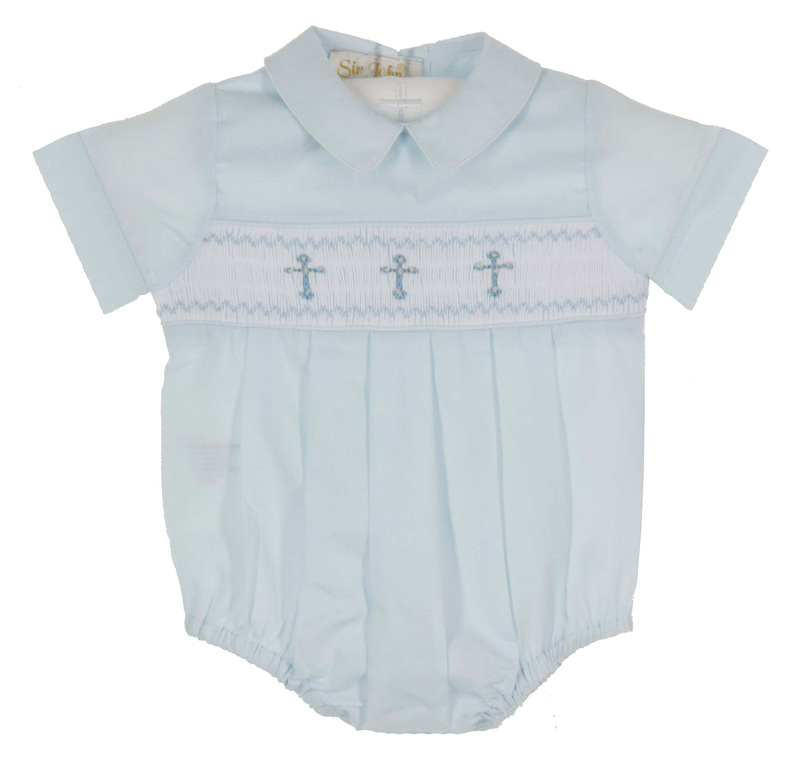 Be sure to see all of our Easter dresses and sEaster shortalls and shorts sets for your baby's, toddler's or little girl's or little boy's Easter best!